Heavy Copper PCB makes it possible to integrate high current circuits and control circuits to realize a highly dense, in a simple board structure. Heavy copper normally used for a various products but not limited to: high power distribution, heat dissipation, planar transformers, power convertors, and so on. In the recent weeks, we have had a lot of inquiries for heavy copper requirements. Just this past week we had a request for 105um copper ( 3 oz) and still maintain .15mm trace spacing. Not an easy task at all and with today’s technology it is not doable. However, it is a good question but you need a minimum of .25mm and .30mm is standard spacing with 3 oz copper. The customer is looking for this type of work in production quantities of 1k-10k pcs of smaller but decent sized opportunities which we can easily accomplish if they are able to back off of their .15mm spacing requirement. This product is for one of our international customers based in France who have a vested interested in solid circuit board solutions provider. Not only have we been able to provide solid support by delivering product fabricated in China and delivered to France, the speed at which we can turn projects is unique. Our current max capability for heavy copper is over 6oz for production and 8oz for prototypes and smaller volumes. There are very few shops you will meet that can do 6-8oz boards in 10 days with class III quality. We hinge on doing working for very successful companies like Raytheon to whom we built a 22 layer blind and buried via board with 3oz copper for. We fabricated 50rigid circuit boardspcs in just 10 days. 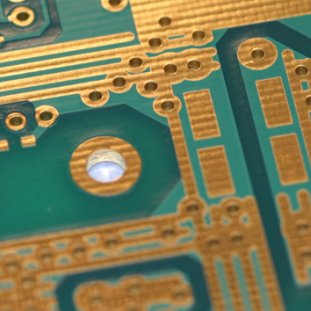 We could have turned the boards quicker if the customer was willing to pay an expedite charge – so the capability of doing very complex, heavy copper weight, PCBs is certainly there.